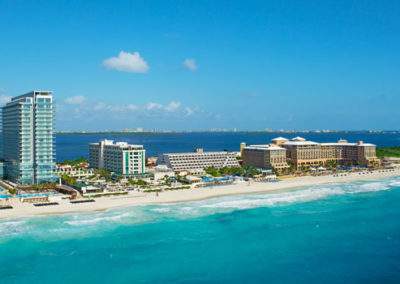 For a golf holiday in Mexico, we highly recommend Cancun which has direct flights from the UK. 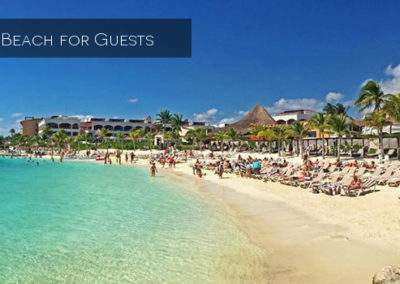 A Cancun golf holiday offers fantastic value for golf breaks in Mexico and for your golf travel to Cancun we recommend all-inclusive dining and free golf at Le Blanc and Moon Palace resorts. 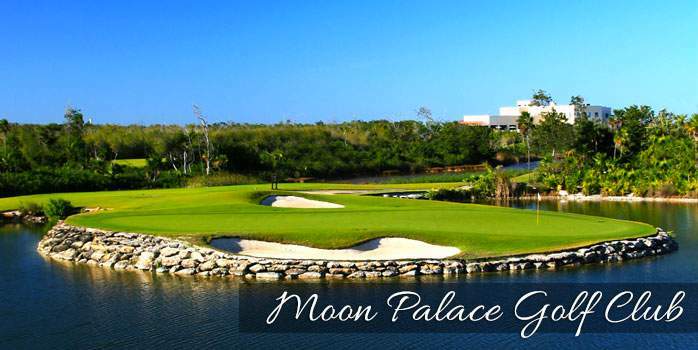 Moon Palace is a large resort with a superb Jack Nicklaus designed 27-hole golf course, and residents avail of free green fees at the Riviera course just a ten-minute transfer away. 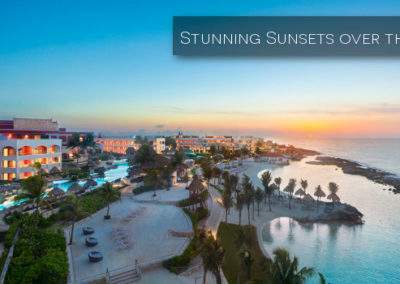 It’s sister hotel, the luxurious and ‘adult only’ Le Blanc Golf and Spa Resort, is the perfect place for a truly special Mexico golf holiday. 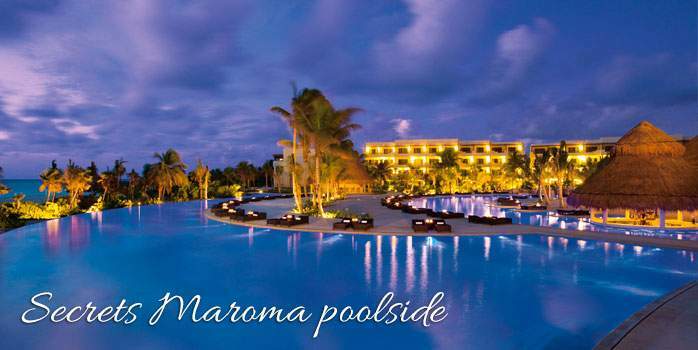 Stay at our newer Mexico resorts, the UNICO 20°87° or the Fairmont Mayakoba. 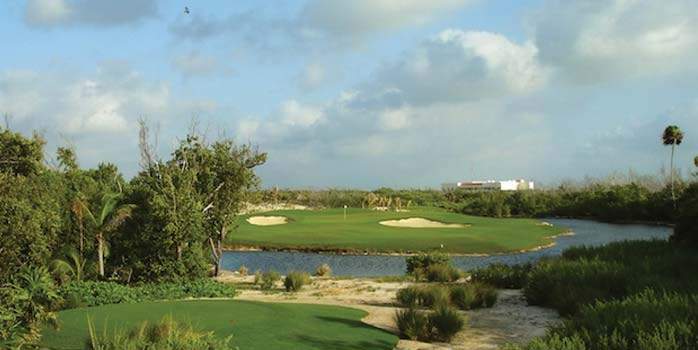 Read about Mark and Gerard’s Mexico golf trip, they came back raving about Cancun golf holidays because of the great golf, beautiful beaches and superb service. 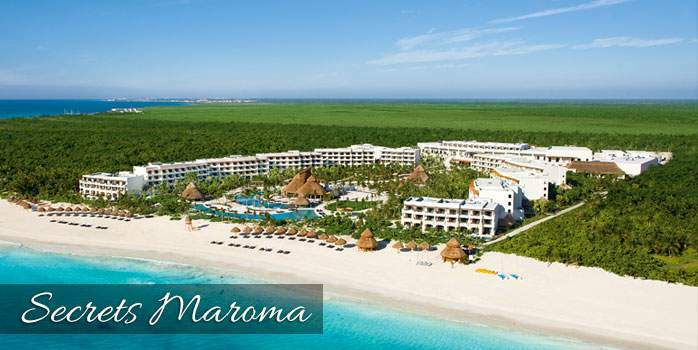 Speak to us if you are interested in a Mexico golf holiday, we’d love to help you get the golf holiday of your dreams. This American country may not always be the first place that springs to mind when seeking to book a golfing break. This is changing however as it is gaining in popularity due to the availability of cheap direct flights from around the globe. 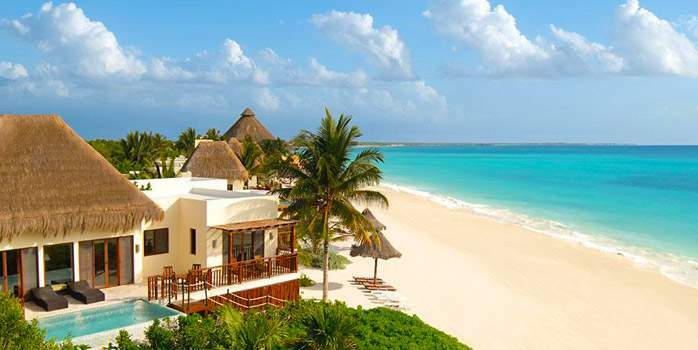 Within Mexico, the areas of Cancun and the Baja Peninsula tend to be the most popular, with many fine golf courses to play and luxury accommodation available. 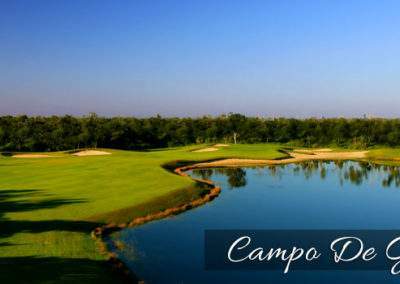 Year-round golfing is available, this destination provides the golfer with perfect weather in summer or winter for a round of golf. 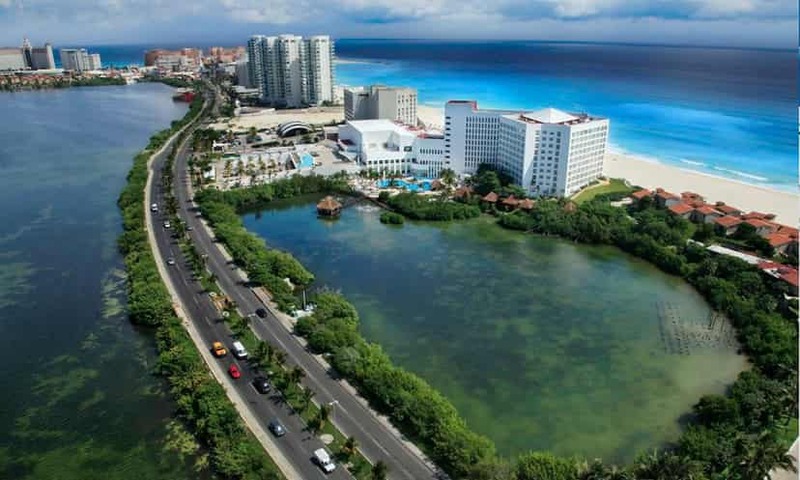 In the popular resort of Cancun, the average temperature does not fall below 23°C year round but there is a distinct wet and dry season, winter months being considerably drier than summer. 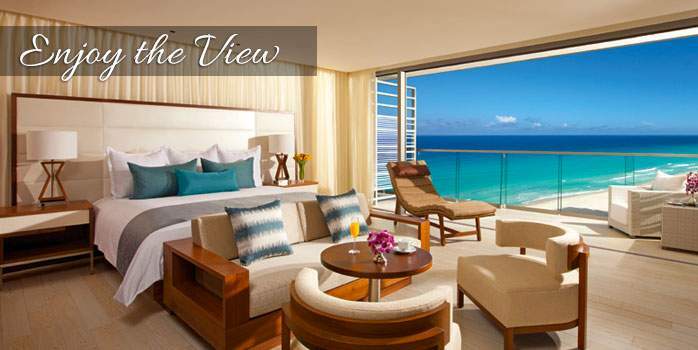 The premier hotel complex in the region is the 5-star Hard Rock Hotel, drawing guests from across the globe. The region has two distinct regions the built up ‘Hotel’ area and the more laid back ‘downtown’ area which appeals to all types of people. 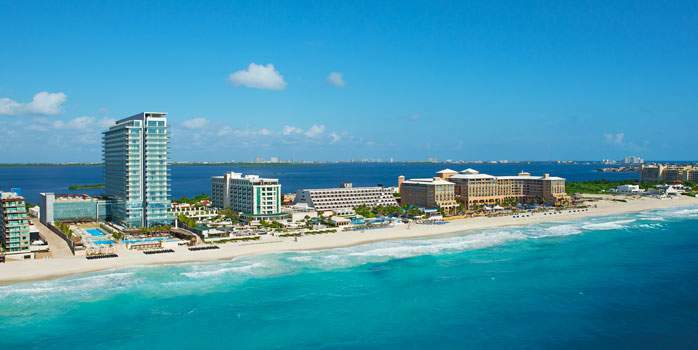 Although not well known, there are many other visitor attractions within close reach of Cancun, such as; boat tours and dolphin watching. 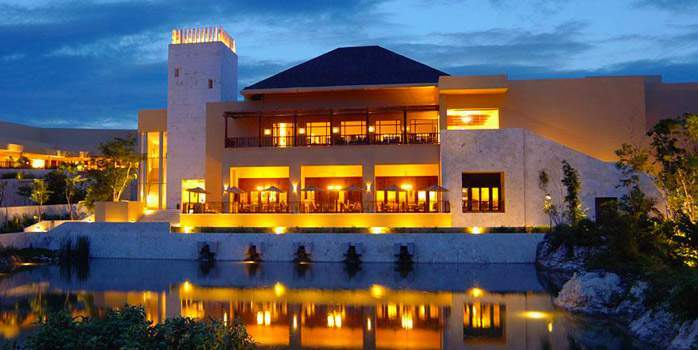 El Camaleon Golf Course at the Mayakoba resort is Greg Norman’s latest masterwork. 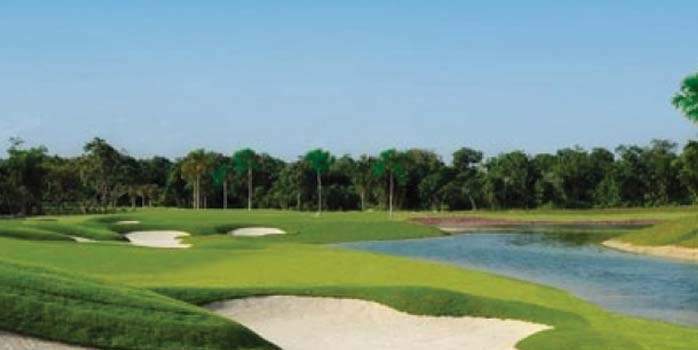 The 7,000 + yard layout is unique – not just to Mexico but to the entire world of golf. 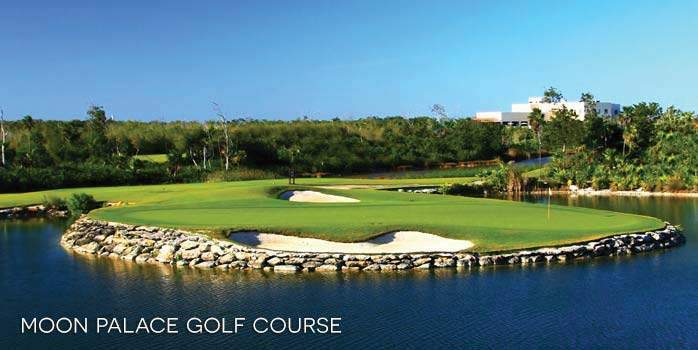 The brand new course bends through three distinct landscapes – mangrove jungles, limestone canals and stunning, oceanfront stretches of sand. 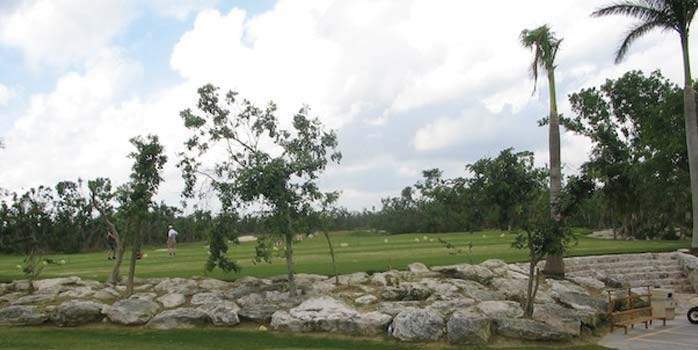 El Camaleon incorporates a cenote, a massive underground cavern, into the heart of the opening fairway. The handsome, Mayan influenced clubhouse that rises above the 18th green features a fine dining room with stunning views over the course. With Mayakoba’s unique system of lagoons, golfers are able to step out of their rooms and into a boat, which will ferry them directly to the first tee. 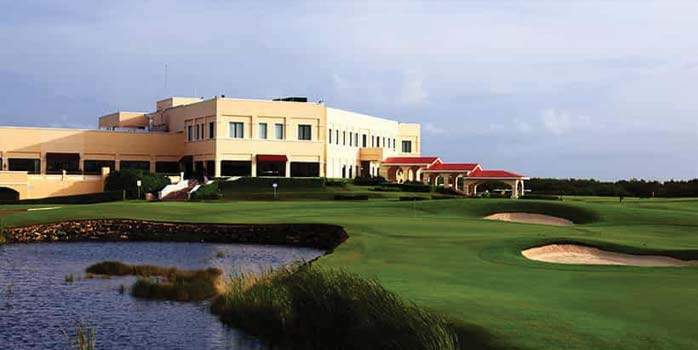 Architect: NIck Price Grand Coral serves as an excellent example of how golf course designers and developers are proactively working with environmental groups, government agencies and others to create golf courses that are planned, constructed, and maintained according to a strict set of rules that meet or exceed local and federal environmental requirements. 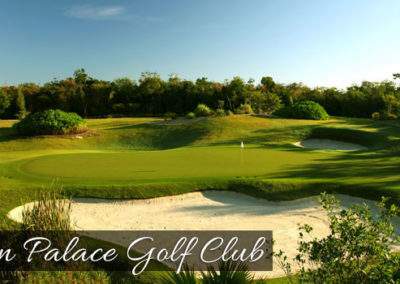 Playacar Golf Club is a beautiful Championship Golf Course designed and constructed under the supervision of the famous American architect Robert Von Hagge, who has designed some of the best golf courses all around the world. 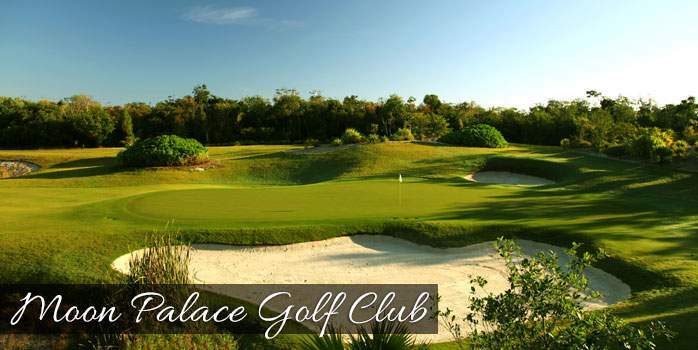 You will find this unparallel golf course carved out from the lush vegetation of the Mayan jungle in the Yucatan Peninsula, and only a few yards away from the gorgeous turquoise waters of the Caribbean Sea and its fine white-sand beaches. 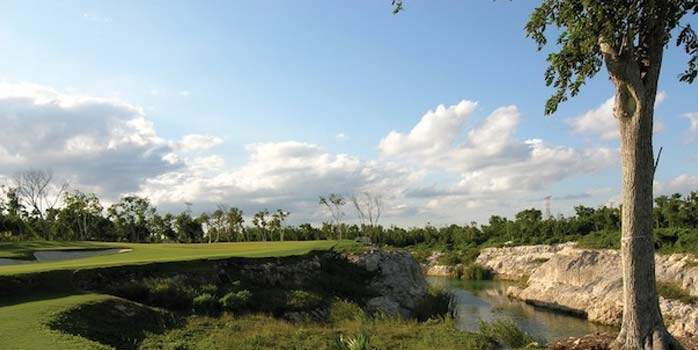 Enjoy the best golf experience you have ever had at this magnificent golf course, par 72 with a distance of 7,144 yards, surrounded by a diversity of lakes and the most exuberant vegetation that can only be found in the Mexican Caribbean. 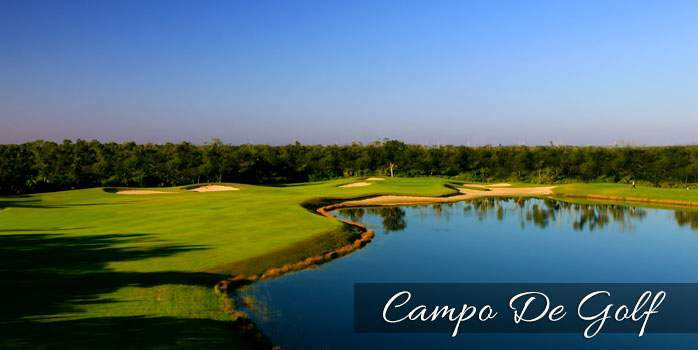 This magnificent Golf Club is considered the most challenging course of the region. 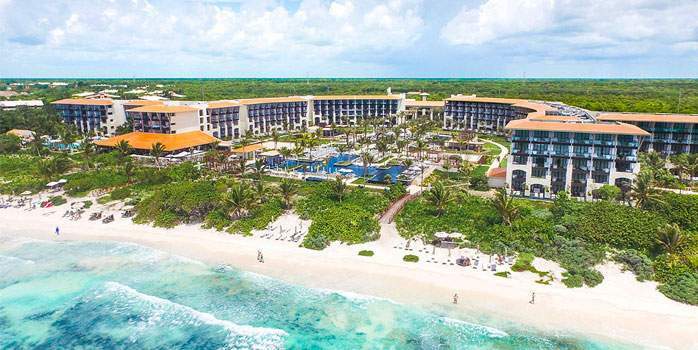 The Playacar Spa & Golf Club is located in the Playa del Carmen Hotel Zone, known as Playacar, just 35 miles south of Cancun International Airport. 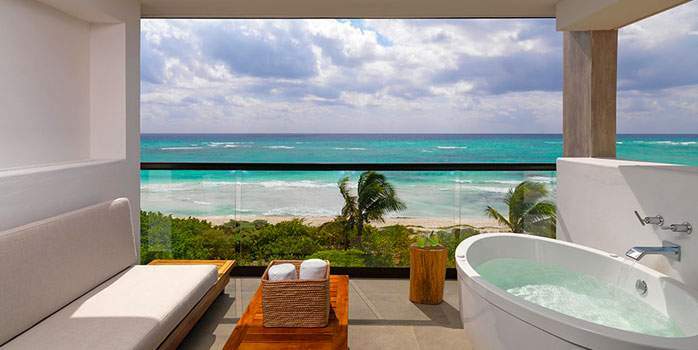 Set on the stunning white beaches of Riviera Maya, Unico 20°87° immerses guests in the culture of the region. 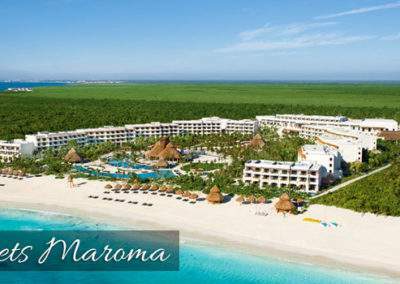 The Unico Resort allows you to enjoy all-inclusive staying in Mexico and it is considered a prime base for Mexico golf holidays. 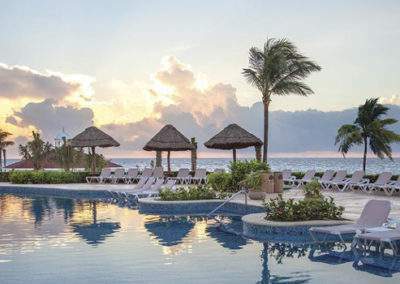 A golf holiday in Mexico at Secrets The Vine Cancun, the first Secrets Resort & Spa in Cancun, offers an Unlimited-Luxury experience surrounded by crystal-clear views of the Caribbean Sea and powder-white beaches. 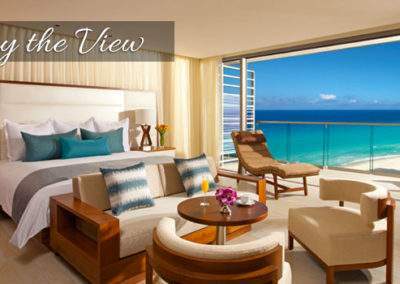 Nestled in a secluded enclave between a lagoon and the glistening Caribbean Sea on the strip in Cancun, Mexico. 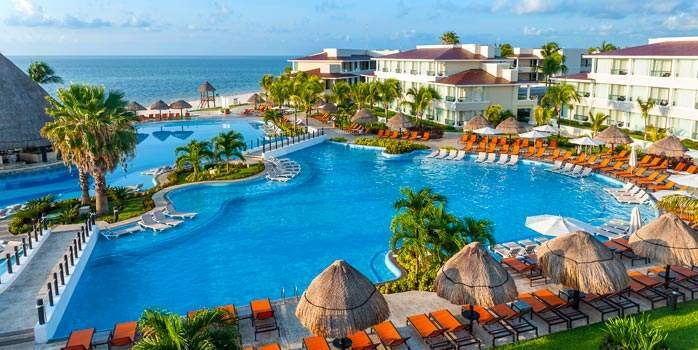 For a wonderful Mexico golf holiday in Cancun, nestled between a long white sand beach and tropical foliage Moon Palace is a large resort with excellent golf on site. 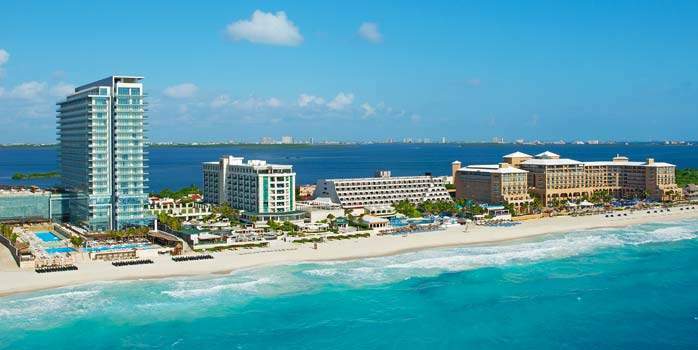 The unique Hard Rock Hotel, Cancun beach resort is perfect for a golf holiday in Mexico. 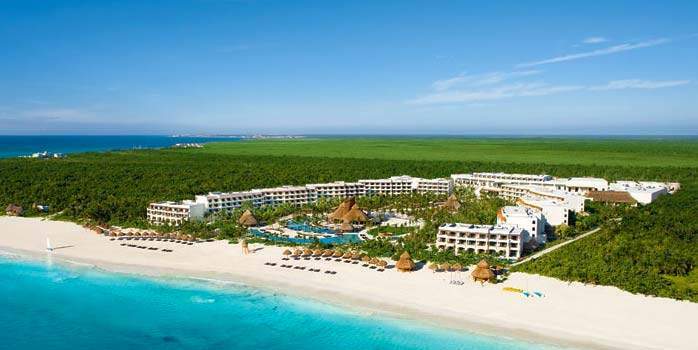 On an All Inclusive Golf Holiday at Hard Rock Hotel, Cancun enjoy unlimited golf on two fantastic golf courses, the Hard Rock Golf Club & Riviera Cancun. 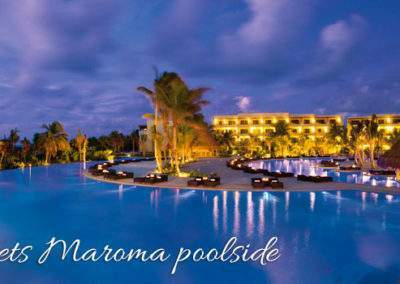 Romantic and sensual in luxury surroundings this first-class retreat is the perfect adult only hideaway for your honeymoon. 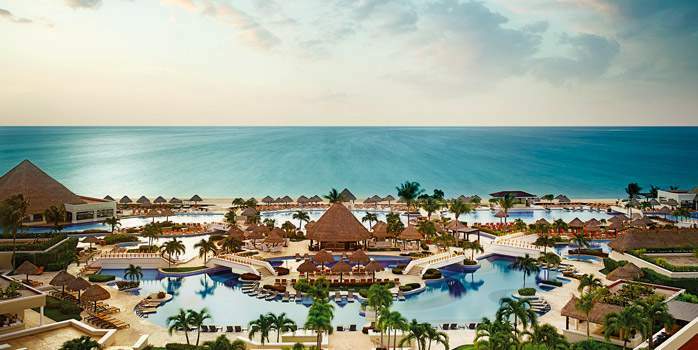 This all-inclusive resort has multiple gourmet restaurants and lounges serving table top spirits. 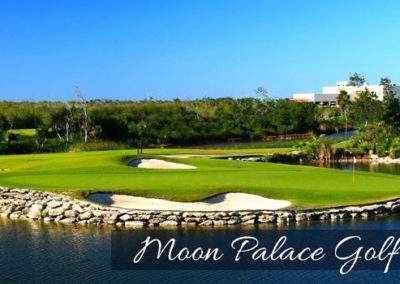 With unlimited golf over 45-holes and a vast selection of restaurants and bars to choose from the Moon Palace has it all! 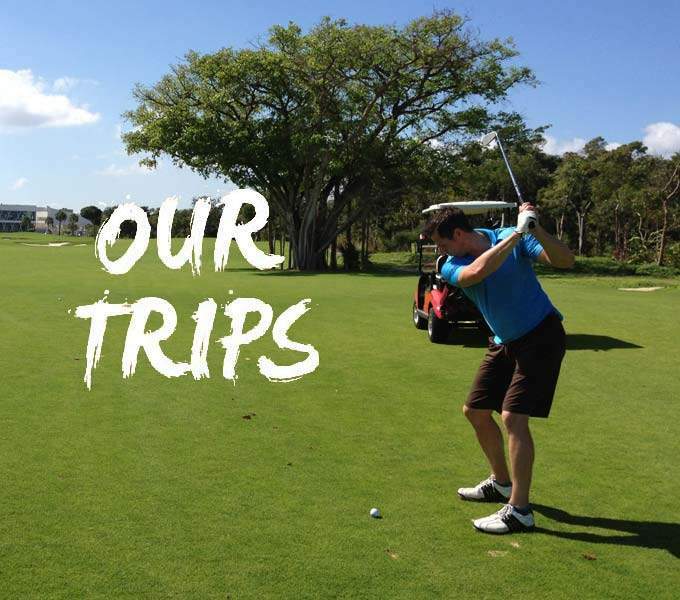 All inclusive, flights, Complimentary Golf Club Carriage, transfers & unlimited golf! 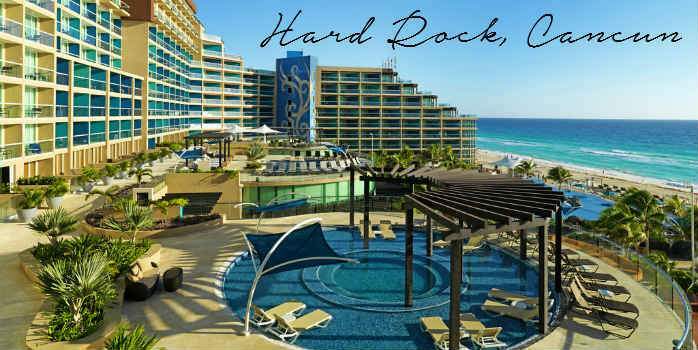 Stay at Hard Rock Hotel Cancun with unlimited golf at an amazing price!